For circulatory health and immune support, Cayenne from Oregen’s Wild Harvest contains dried, freshly ground cayenne pepper. Some of the active components of the fruit, including vitamins A and B6, riboflavin and potassium, are thought to support overall dietary needs. Cayenne pepper is related to the Capsicum genus family of plants that includes bell peppers and their more spicy relatives, habanero. Peppers are shown to provide high levels of vitamin C, which is required for protein metabolism, biosynthesis of collagen, L-carnitine, and certain neurotransmitters. Cayenne also contains B-vitamins like thiamine, niacin, and folate for the support of wakefulness, circulatory health, and normal metabolism. Cayenne pepper may also support digestive health, blood pressure levels already in the normal range, and cellular health. Peppers also contain carotenoids, which may provide support for normal eye health. These organic pigments are found in plants and absorb light energy for use in photosynthesis. 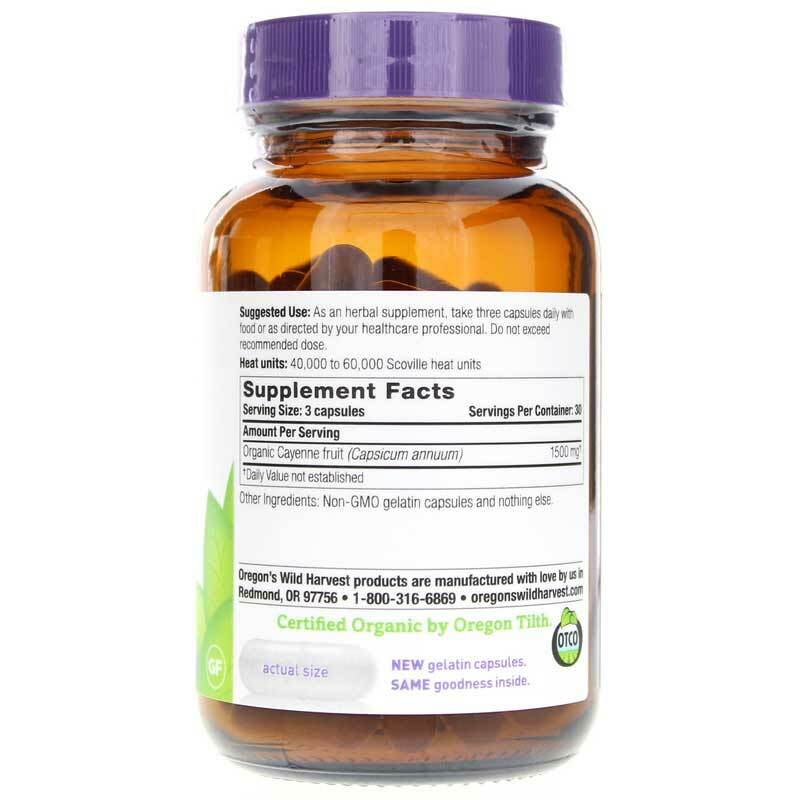 This results in vitamin A activity which may also provide antioxidant support. Peppers contain vitamins and minerals that may support overall health, but eating a cayenne pepper might burn your mouth. 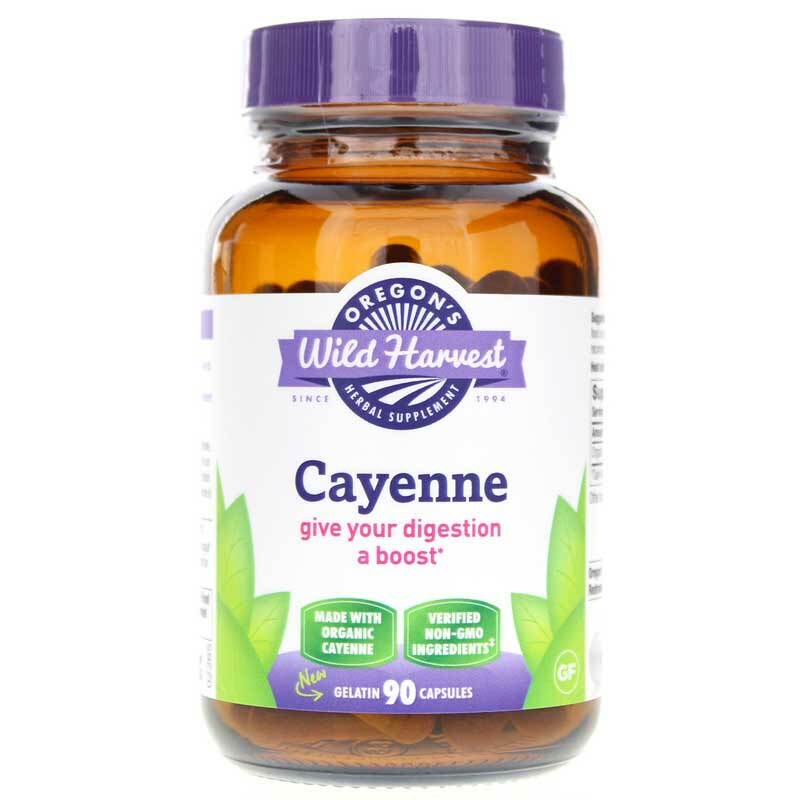 With Cayenne from Oregen’s Wild Harvest you are ingesting the dried, freshly ground fruit in capsule form, which may support digestive health and a healthy immune system. Experience it for yourself today! Contains NO: dairy, wheat, gluten, peanuts, soy or corn allergens. Vegetarian. 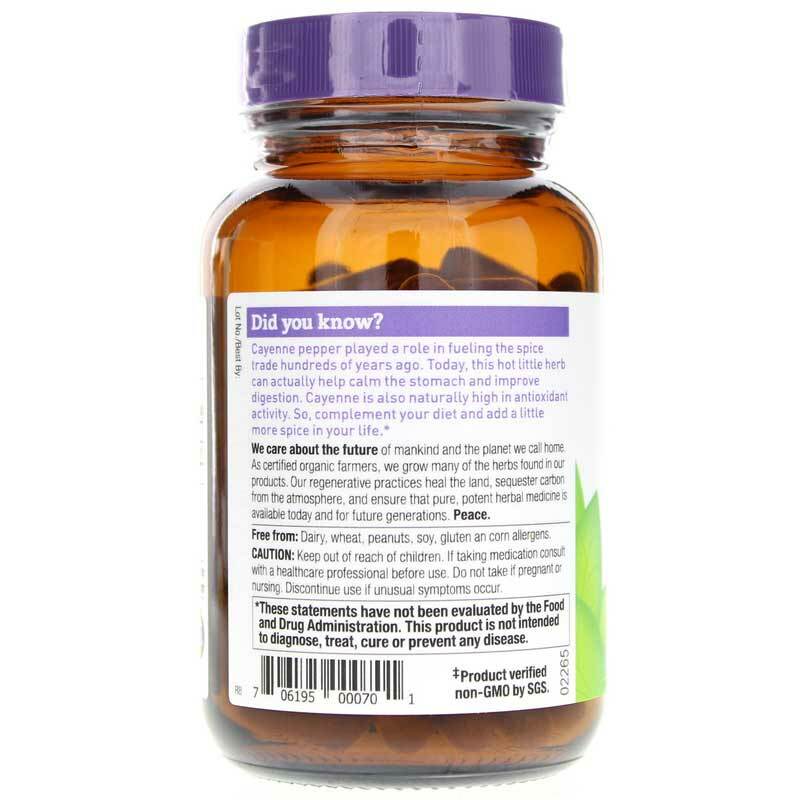 Adults: As an herbal supplement, take three capsules daily with meals. Individuals diagnosed with gastrointestinal ulcers, acid reflux, esophagitis, irritable bowel syndrome or asthma should use Cayenne with caution. Not recommended for use while pregnant or nursing until further research verifies no contraindications. Keep out of reach of children. Discontinue if unusual symptoms occur. Do not exceed recommended dose unless under the guidance of a health care professional.